Love it or hate it, you know it. For some, it's a loot piñata, where the worst part of it is the luck you have queuing with a group which may be filled with trolls, incompetents, elitists, or all of the above. For others, it's the lone source of raiding and the only way they'll ever see end game content. Some also use it as an avenue for gearing an alt, perfecting rotations and trying out new roles. For me, I can't stand it. 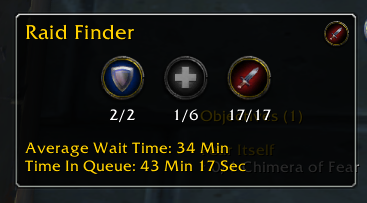 I'm not saying LFR is a bad thing, I just don't want to spend my somewhat limited gaming time in there. I may have even stated once or twice that it's the bane of my existence. In my opinion, the content is less challenging than some heroic dungeons or scenarios. The jump between LFR and 10M normal is huge. Mechanics can be ignored in LFR, outgoing damage tickles, and OOMing is never an issue (so long as the others are pulling at least some of their weight). But, when I step back and think about it, there's far more you can get out of it than meets the eye. So how can you turn this bane into a boon? Simple. 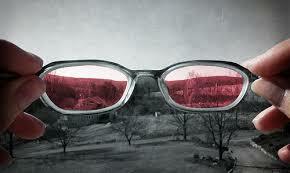 Change your viewpoint and look at it with new eyes. In LFR, if you're new to healing or new to a Druid, you can get a feel of how healing with different people and different classes impacts how you perform. If you're new to the raid, you can learn the broad idea of fight mechanics. By playing with a group that is more likely to fail mechanics than not, you can start to figure out how you can step up your own gameplay. There is no better place to perfect your healing than with a group who will willingly make your job harder. And there is no better place to find this than in LFR. * Gear drops can give you a nice edge, even if you're on your main. When the dice seem stuck on snake eyes in regular raids, you can always dip your toes into the LFR pool to see if they'll treat you any nicer there. Yes, a 522 is better than a 502, but remember a 502 is still better than a 496. A smaller upgrade is an upgrade nonetheless. You can use LFR to grab some gear to fill in gaps when you're just not getting anywhere. * You can get face time in areas you can't access on your team's current progression. You really have a great opportunity to work out plan of attack for your (personal or guild's) progression fights. Even something as simple as learning which trash you can skirt around to save time can be beneficial in the long run. My raid team even queues up key people together to work out our own strategies. Believe it or not, LFR actually cooperates when asked and let us work out our strategies. For example, the tanks and kiters for Garalon queued up and worked out our strategy together. Our team walked away with our 10M kill on Garalon that week. * Look for points of failure on each fight. Where do the wheels fall off? Where is damage so obscene that your GCD on your insta-HoTs feels like an eternity? Make note of these things to keep track of for when you're on the "real" fight so you can be ready for them. Better yet, help your team plan your strategy based on your first hand experiences! * Take a long hard look at damage taken by player, and focus on yourself. How much avoidable damage did YOU take? Ask yourself what you could have done to avoid the damage? If nothing, think about what mitigation you used for it (you ARE using your bark skin, right....right?!?). Could you have popped into bear form to dull the pain? Think about it, and think about other ways to improve your personal performance. * Damage by source can help you identify unavoidable raid damage, bursts of AOE, and other major sources of damage. Knowing this, you can anticipate using your CDs, whether your personal mitigation or big healing cooldowns. Also, you can get an idea if there would be situations when you'll be healing solo. Remember, as a Druid you're the most mobile healer in the game and you can use this to your advantage - and sometimes a wipe or win will depend on it. * Look over your healing by spell. Compare yours it to logs, see if your spell usage lines up with other Druids you respect. Ponder how their choices differ from yours and see if making slight changes to your healing approach could be beneficial. * Check your overhealing. Not only how much you've overhealed, but what spells were the big contributors. Are you running low on mana? This is a huge resource for you to look at. For example, if you see that your Regrowths are 90% overheal, you may want to think about when and how you're using it and how you can tweak its use. What other ways can you make your time in LFR most beneficial for yourself or your raid team? Share your insight in the comments, I'd love to hear from you! Until next time, long days, pleasant nights and happy Raiding.